See Moncler’s Collaboration With Queen of Weird Simone RochaSpringtime has been summoned. 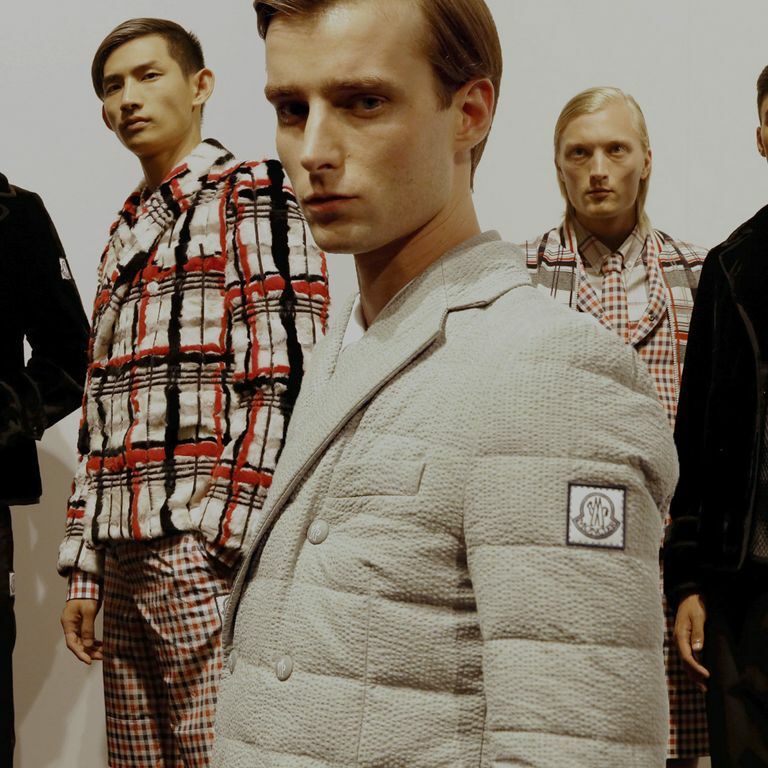 Moncler Adds Two New Fashion ‘Geniuses’ to Its RosterMatthew Williams and Richard Quinn are the latest collaborators. Where to Get a Winter Coats That Absolutely Won’t Look Like Anyone Else’sShop Moncler’s new Soho pop-up while you still can. Valentino x Moncler’s Dramatic Puffer Coats Are Now for SaleStay warm; look cool. Moncler Made Puffer Coat Gowns, and They’re BrilliantThe brand debuted exciting new collaborations at Milan Fashion Week. See the Newest Fashion Campaigns for FallAnd more from Gucci’s Star Trek–inspired campaign. Moncler Models Wore Velvet Coats and Puffer ShortsBackstage photos from Milan Men’s Fashion Week. The Collaboration All the Cool Kids Will Be Wearing This SeasonBy Virgil Abloh, of course. Moncler’s Latest Collab Is Super Trippy and CuteThey partnered with the art collective FriendsWithYou. Is Lucky Blue Smith America’s Chillest Teen?Talking to the social-media sensation and his equally genetically blessed sister about shooting an ad campaign together, lying in slime, and Instagram marriage proposals. Moncler Grenoble Held an Epic Love-in for Valentine’s DayModels + hydraulics + a giant heart = true romance. Pharrell’s Moncler Sunglasses Resemble GogglesIn a good way. Moncler Publicist Allegedly Pulls a Thomas CrownHe was charged with stealing a Salvador Dalí painting and a steak. Long, Strange Trip: Jim Mangan Captures Fall’s Best OuterwearOne photographer, and his five friends, went hiking with Gucci, Prada, and more.